Linux comes in various flavours called distros (distributions) and it’s up to you to determine which one you opt for. 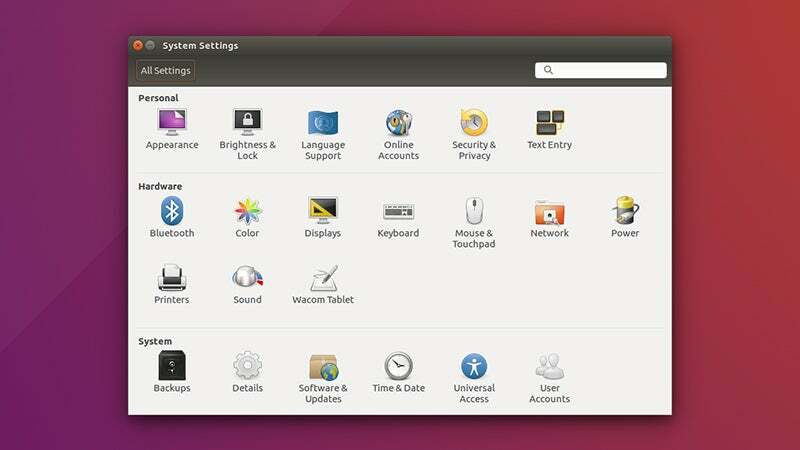 Ubuntu is by far the most popular desktop distro and is a good place to start for beginners, so we’ve focused on that one here, but once you’ve grasped the basics feel free to explore the pros and cons of some others out there. 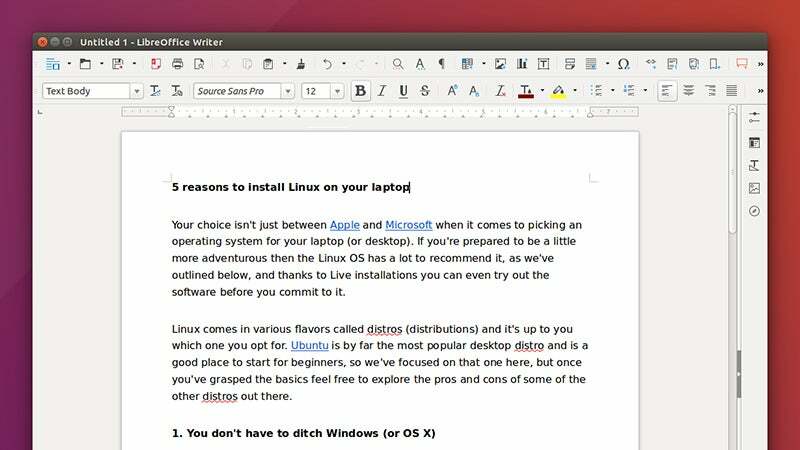 You don’t need to wave goodbye to Windows (or macOS) to give Linux a try. Ubuntu can run very happily on a dual-boot system or even straight from a USB drive. Follow the instructions provided on the Ubuntu website to get up and running: you need a blank DVD or a USB stick at least 2GB in size, and the setup process is very straightforward. Of course the benefit of using a USB drive or DVD is that your existing OS remains untouched. On the other hand, performance and responsiveness won’t be quite as good, and you’re limited in terms of some system operations (to install apps and save files permanently, you need to create a USB stick with the persistence option enabled). In the past, installing software and popular codecs on Linux was a pain for the less tech-savvy, but that’s no longer the case. 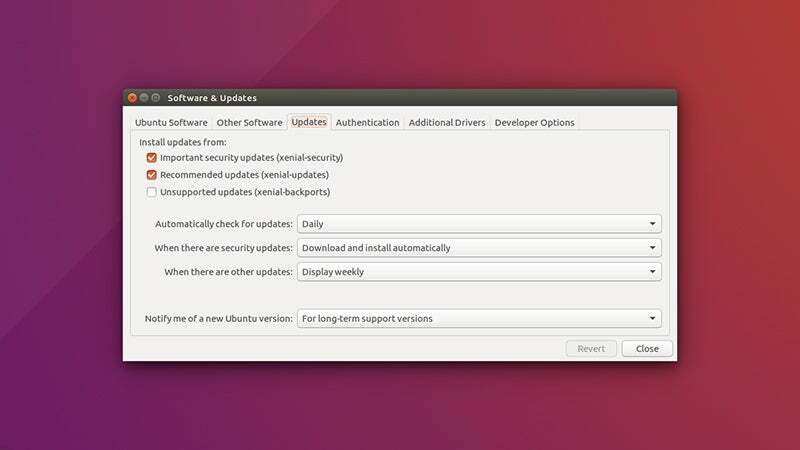 Ubuntu, for example, prompts you to download codecs for commonly used audio and video formats with a single check box, and on most modern systems can instantly identify available Wi-Fi networks and connect up to them. 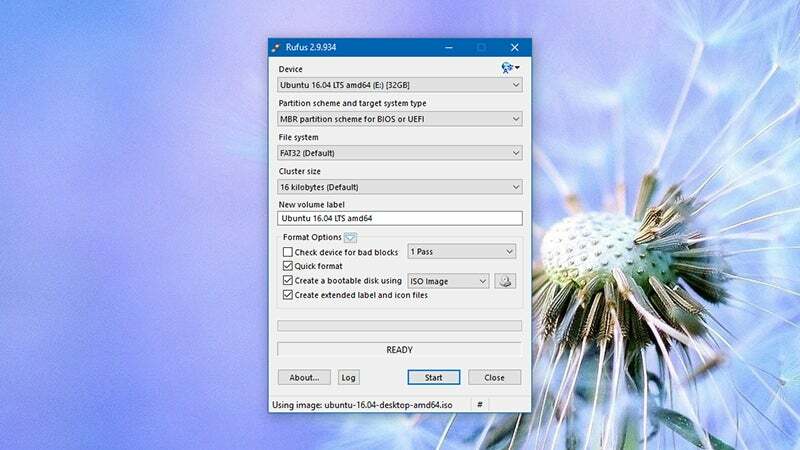 While it’s true that seasoned Windows and Mac OS X users may find themselves occasionally perplexed by how to do something, that’s to be expected when switching between OSes of any flavour, and there’s always plenty of support available on the web. Most users are going to be up and running and happily enjoying Linux in a few minutes. Ubuntu comes complete with Firefox for your web browsing, Thunderbird for your emailing, and LibreOffice for making documents, spreadsheets, and presentations. Other free and open source applications like GIMP (image editing), Evolution (the Linux version of Outlook), and Kodi (home theatre and media management) are only a few clicks away. Other well-known apps with Linux versions include Google Chrome, Plex, VLC Player, Slack, Dropbox, Skype, and Spotify. And don’t forget all those programs that run in a browser now, from the online versions of Microsoft Office to Google Play Music. If there’s a Windows program you really need to bring along with you, then give Wine a try. There’s a relatively small number of people using Linux as a desktop OS, which means a relatively small number of hackers looking to exploit it, but besides the raw numbers, Linux is an incredibly secure OS to run. It’s designed from the ground up to be secure, from the default privileges given to users to the way that Linux code is developed and maintained. Linux can crash and be exposed like any other operating system out there, but the fact that few pieces of malware will run on the platform and any damage they do will be more limited means it’s a solid choice for the security-conscious. It’s also less likely to be weighed down by bloat and creeping system sluggishness than its more well-known rivals. Linux is more than an operating system. It’s a philosophy. Not only is the software free (like Google Chrome, for example) but the source code is open and free (unlike Google Chrome, for example). You use the OS and the bundled software completely free of charge, but also view the code and make changes to it, should you be so inclined. When you use Linux you’re supporting a global community of millions committed to making software free to install and use. That philosophy has helped drive innovation on the web and in Windows and OS X, as well as Linux itself, and if you want to dive further into software development, Linux is a great place to get started.